Similar to our Barbara Meglič, Csonka is a diligent student, who will now focus entirely on sports. „Well, last year was a bit difficult for me because my concentration was divided between my studies at the university and table tennis. At the begining of this year I passed my final exam, so now I am focused on table tennis and the upcoming tournaments. Of course I am working with the best experts, such as conditional trainer and psychologist, who know where I need to improve to be in a good shape for tournaments like this,” says our co-speaker. „I expect this tournament will help me to recover my tournament feelings, and I hope I will win a medal in both events – single and team. For me all tournaments are important. I always set up more goals for each competition, which helps me in big tournaments like European Championship, World Championship and Paralympics,” he doesn’t hide ambitions before coming to Slovenia. 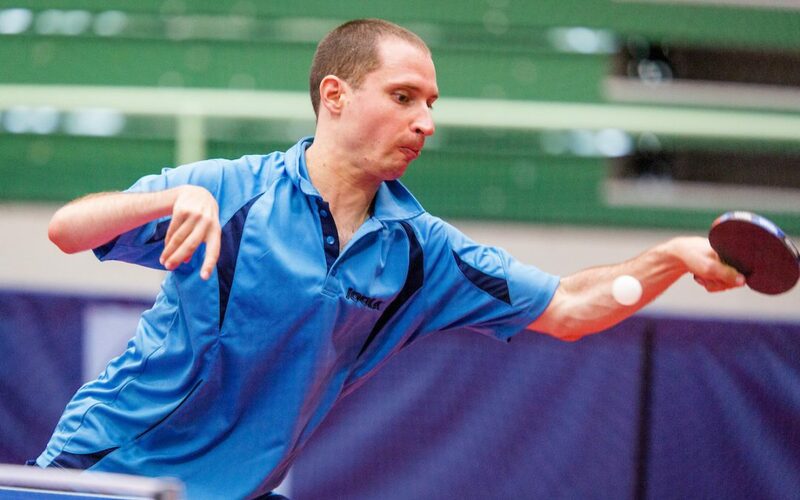 „Sure, this tournament will be a good test for upcoming World Championship and it will also help my team plan my summer preparation period more precisely,” is Andras aware that this year’s tournament will be usefull as preparation for SPINT 2018, which will take place in Laško and Celje in fall. Andras loves visiting Slovenia. „How am I able to remember my first visit was in 2003? I have good memories because this tournament is always well organized, with remarkable service, good food and accomodation. Moreover, Lasko is also located between beautiful hills. So besides sports this city is also fit for holiday,” adds Csonka, who won in singles and team events at the last year’s Czech Open.